Blizzard Entertainment has announced that Diablo III will not ship until early 2012, narrowly missing the lucrative holiday season and forcing anxious fans of the franchise to wait even longer to get their hands on the anticipated title. The news comes just days after a closed beta launched on Battle.net, sparking speculation that the game could make it to store shelves before the end of the year. 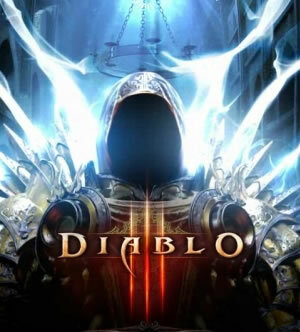 But after pulling together people from all of the teams involved in making the game, it was decided that the Diablo III needed a little more fine-tuning and polish to live up to the high expectations from both the developers and gamers. Blizzard indicates that testing is going very well and that they will use the additional time to extend the beta and add more testers than originally planned. "With every game we make, the temptation is always very strong to launch as soon as possible. However, we didn't put so many years of work into Diablo III to release a game that was almost ready," said Mike Morhaime, CEO and cofounder of Blizzard Entertainment. Those hoping to participate in testing can log into their Battle.net account and opt-in for the closed beta. Users will be required to run a system diagnostic on their machine, which will capture specifications that Blizzard uses to ensure a nice mix of hardware and software for testing purposes. Diablo II was released on June 29, 2000 with work on the third installment in the series starting a year later. The title was officially announced on June 28, 2008 at the Blizzard Worldwide Invitational in Paris, France.